Ah, Norway! Land of my people! 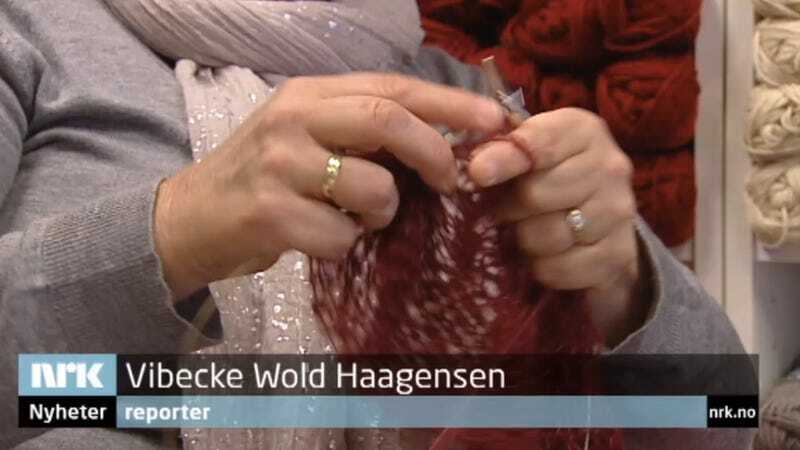 A Norwegian television station has announced that they plan to broadcast the world knitting record for the fastest time from "sheep to actual finished sweater"—earmarking a full five contiguous hours for the purpose. That's five hours of shearing, spinning, and knitting (plus four hours of fleece-themed knitting pre-show). On TV. They’ve dedicated five whole hours to the event to see if the individuals can beat the previous record held by Australia of 4 hours and 51 minutes of non-stop knitting. Originally, I was thinking grandmothers around the world must have beat this record 10 times over since the beginning of knitting, but the actual record involves the fastest time between the sheep to the actual finished sweater.